Based on the cult hit film of the same name, The Full Monty follows six down-on-their-luck steelworkers who are desperately looking for work to support their families when they come up with a bold way to make some quick cash. Filled with honest affection, engaging melodies and the most highly anticipated closing number of any show, audiences will be wondering if these lovable misfits will really pull it off. The powerhouse team of Terrence McNally(Ragtime) and David Yazbek (Dirty Rotten Scoundrels) cooks up an aggressive crowd-pleaser that both entertains and grabs your heart as the guys work to overcome their fears and self-consciousness to discover the power of their strength in solidarity. The show is Rated R. Children must be accompanied by an adult. Socializing begins at 6:30pm in the TMP lobby and includes complimentary champagne and chocolates! At 7:15pm, the curtain rises to expose you to one of the most entertaining and reveaiing productions of our 25th Anniversary Season. Proceeds from this event support TMP's many programs. ID is required for champagne. The show is rated R.
Returning for just two performances by popular demand! All of the same music from the original production in February, 2019 without the elaborate set. It's time to celebrate the popular swing tunes of the 1930's and 40's! Founded by Don Miller, the Swing Reunion Orchestra is celebrating its 29th year. The one-night-only special event is sure to keep your toes tapping and your ears delighted by this wonderful big band orchestra. The Young at Heart Players is an educational program for adults age 50 and above. 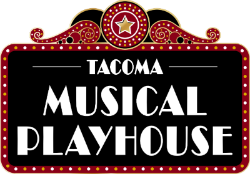 The program culminates in a fully-staged production of The Pajama Game. ABBA's hits tell the hilarious story of a young woman's search for her birth father. This sunny and funny tale unfolds on a Greek island paradise. On the eve of her wedding, as daughter's quest to discover the identity of her father brings three men from her mother's past back to the island they last visited 20 years ago. Over 60 million people worldwide have fallen in love with the characters, the story and the music that make Mamma Mia! the ultimate feel-good show! The show is rated PG13.